Tracking hedge fund and insider transactions is crucial to our investment strategy. Our research has shown that the 15 most popular small-cap stocks among hedge funds historically have outperformed the overall market (see the details). In addition, recent studies on insider trading have shown that investors can outperform the market by 7 percentage points by following certain insider purchases. In this article we will look into five small-cap companies that are both present in Ken Griffin’s and Jim Simons’ equity portfolio, and have witnessed insider purchases over the past few weeks. 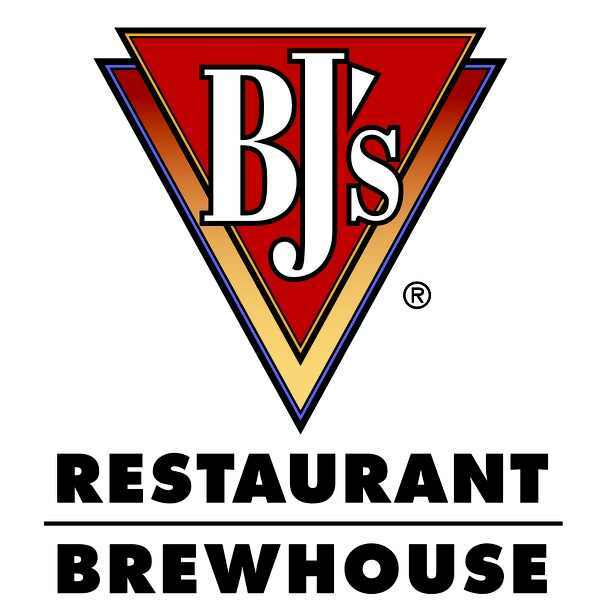 The first company that we would like to refer to is BJ’s Restaurants, Inc. (NASDAQ:BJRI), a restaurant operator with a market cap of roughly $900 million. Over the past month, the company witnessed more than 35 separate insider purchases in the hands of two large shareholders -who own more than 10% of the firm’s Common Stock. Most recently, Patrick Walsh, made four big stock purchases. He acquired more than 333,000 shares of the company, for prices ranging from $32.99 per share to $34.96 per share. After spending more than $10 million in stock, Mr. Walsh (and PW Partners, through several funds) owns more than 963,000 shares of the company, worth more than $31 million. The other active insider was Luxor Capital Group, Lp, which, between March 17thand March 18th added 456,667 shares of the company to its holdings, that now surpass 10% of the restaurant operator’s Common Stock. In addition to the insider bullishness, we can see that hedge funds also seem to feel confident about the company’s future. Ken Griffin, the largest hedge fund shareholder, holds more than 1.19 million shares of BJ’s Restaurants, worth roughly $38 million. Jim Simons’ stake is smaller but still millionaire: he last declared owning 52,529 shares of the company. Other prominent investors, like Steven Cohen and Israel Englander, can also be counted amongst BJ’s bulls, as they have recently increased their stakes to 511,913 shares and 448,522 shares, respectively. NuStar GP Holdings, LLC (NYSE:NSH), a $1.47 market cap oil and gas midstream company engaged in refining, marketing and operating petroleum product terminals and petroleum liquids pipelines, has also seen its insiders buy its stock lately. William Greehey, a Board Director, bought substantial amounts of NuStar’s stock over the past month. Between March 11thand March 24th, the insider acquired more than 205,000 shares of the company, for prices ranging from $31.76 per share to $32.50 per share (actually, he paid about $52 per share for 35,000 of these shares, but the nature of these purchases was not explained in the SEC filings). Through diverse direct holdings, Mr. Greehey owns more than 10 million shares of this company. Amongst hedge fund bulls on NuStar we can count Jean-Marie Eveillard and Chuck Royce, who own 3.25 million shares and 369,200 shares of the firm, respectively. Ken Griffin, owns just 9,033 shares of Common Stock, plus several put and call options. Jim Simons´ stakes are also quite small, but still worth mentioning. Another interesting case is that of Methode Electronics Inc. (NYSE:MEI), a $ 1.11 billion market cap manufacturer of component and subsystem devices. The company has manufacturing, design and testing facilities in China, Egypt, Germany, India, Italy, Lebanon, Malta, Mexico, Philippines, Singapore, Switzerland, UK and the United States. On March 18th, two board directors purchased its stock. Paul Shelton acquired 3,000 shares of the company for $30.14 per share. He added the shares to different trusts of which he is a direct beneficiary, and holds, in total, about 65,000 shares of the firm, worth more than $2 million. Walter Aspatore, on his part, bought 1,000 shares for $29.97 each, and now owns 34,000 shares of the company. In addition to these insiders, several hedge funds are betting on Methode Electronics Inc. (NYSE:MEI). And, once again, Jim Simons and Ken Griffin are included in this group. Mr. Simons´ fund recently increased its stakes in the company by 35%, to 423,180 shares. Meanwhile, Mr. Griffin upped its bets by 15%, to 76,360 shares. The largest institutional shareholder is, nonetheless, Chuck Royce, who owns 1.48 million shares of the company. Moreover, Israel Englander, more than doubled his bets on the manufacturer, to 245,437 shares. In the fourth place in our list is Kratos Defense & Security Solutions, Inc (NASDAQ:KTOS), a specialized security technology business with a market cap of $410 million. Over March, three insiders at the company purchased its stock. Eric Demarco, President and CEO, bought 10,000 shares of the company over the past week. On March 14th, he acquired 6,957 shares for $7.19 each; on March 17th, he purchased another 3,043, for $7.12 per share. Mr. Demarco now owns 339,126 shares of the company, worth more than $2.6 million. Richard Poirier, President at the Electronic Products Division, procured, on March 17th, 3,500 shares of the company, for $7.14 each, and now holds more than 53,000 shares. Finally, on March 14th, Elizabeth Jane Judd, Board Director, acquired 1,820 shares of the company: 900 for $7.08 per share, and an extra 920 for $7.07 per share. She now owns 22,000 shares of the company, worth slightly more than $164,000. In addition to these insiders analysts and hedge funds seem to like this stock too. Jim Simons recently decreased his stakes in this company by 66%, but still owns a portion of its stock worth about $1 million. Ken Griffin also placed a bet on the company, starting a position with 19,728 shares over Q4 2013. In addition, both Chuck Royce and Israel Englander have large stakes in the company (2.16 million shares and 1.26 million shares, respectively). Finally, there’s Boston Private Financial Hldg Inc (NASDAQ:BPFH), a $1 billion market cap bank holding company that saw two of its insiders buy its stock since the beginning of 2014. Mark Thompson, CEO at the Boston Private Bank business acquired, on Jan. 31st, 18,004 shares of the company for $12.42 each. He currently owns 493,548 shares, valued at $6.8 million. Then, March 13th, Eugene Colangelo, Board Director, acquired 7,375 shares of the company for $13.51 per share. Following this transaction, the Director owns 139,882 shares of Boston Private Financial Hldg Inc. Yet again, we can count both Jim Simons and Ken Griffin amongst the company´s hedge fund bulls. They have both increased their stakes in the company lately, to 176,772 shares and 46,027 shares, respectively. Other prominent investors betting on this bank are Chuck Royce (1.38 million shares) and Matthew Lindenbaum (1 million shares).